March 8, 2016 Communications, Internet, SoftwareLAN-Monitoring,Inc. SMS Recovery can recover deleted text message on iPhone and Android phone. As a kind of software recovering the deleted SMS, this software supports all iPhone and Android systems. After deletion of SMS, the data blocks storing the SMS are not deleted from the database immediately, but are marked as the unused block. These data blocks can be covered only when new SMS are stored in the database. If you use our software for recovery before the deleted data blocks are covered by the new data, you can successfully recover all the SMS. It is possible that some deleted data blocks are not covered after one year or several years, so sometimes this software can even recover the SMS deleted several years ago. 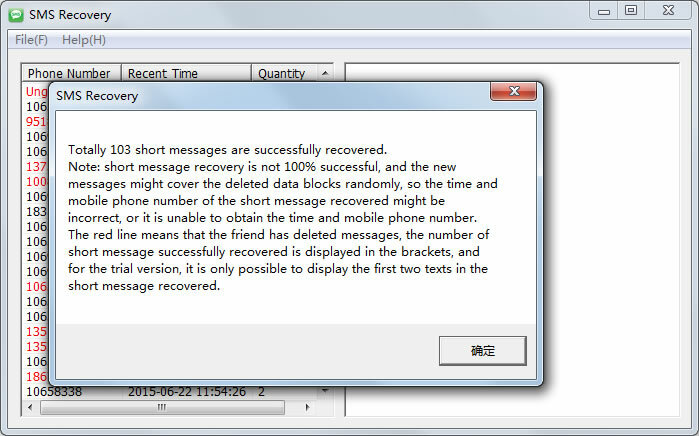 If the SMS are newly deleted, they can completely be recovered. Viral Marketing: Market your company or yourself to the social networking accounts of upper quartile executives with our Viral Network Marketing software. Create hundreds and thousands new business contacts. Smart analysis: Continuously monitor the penetration of your viral marketing campaign by reviewing the page view counter and social network counters. Meeting Pad (hosted) web service forces inquiries and followers to you. You are in total control who has “permission” to connect with you. WYSIWYG editor publishes viral information web pages instantly. No ftp or hosting asccount required. 100,000 address capacity email software. Viral connectors. Connect form delivers upper quartile decision making followers to you. Corporate Partnering – Find New Contacts – Viral Marketing software gives you the edge. 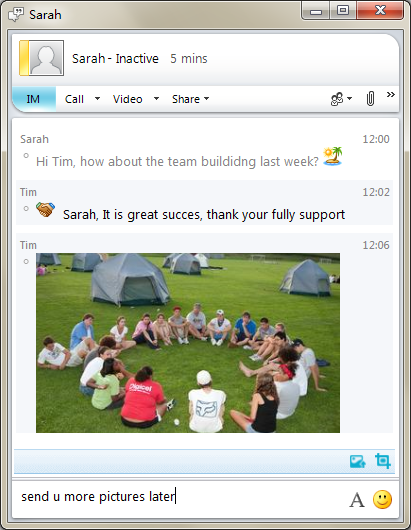 (1) Screenshot for Microsoft Lync You can send and show images and screenshot in Lync conversation window directly. E.g. when you bump into troubles using your computer, simply take a screenshot and send it to your friend, no more describing and guessing. 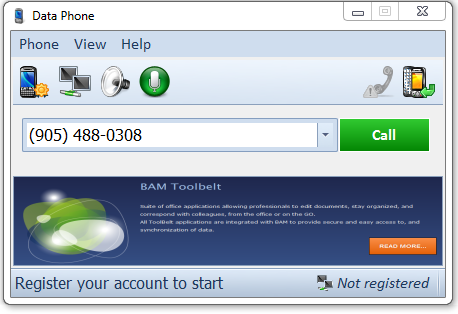 While you have conversation with Lync contact, send a picture to him/her! The communication be more fun and very impressive. (2) Offline Message for Microsoft Lync ?Can I leave contact a message when he or she is not online?? This is a common problem Lync users meet. Using Lyncplus Offline Message, you can still drop a message when your contact is offline. When he/she is back online, the bottom message bar shows how many message you missed during the offline time, you can click the user name to bring up the chat window. Motion detection and webcam monitoring. Video surveillance with multiple IP cameras and video capture devices. For each video frame, if motion is detected, the Alarm event occurs, that returns a global motion ratio, depending of the number of cells in which motion has been detected, and the level of motion in each cell. A sensitivity grid is applied on video frames. You can adjust the sensitivity of the detection, and mask out areas of the camera view to avoid false alarms. When the camera captures video frames in a dark environment, it is possible that the electrical background noise of the CCD video cell creates fake motion detection events. It is possible to reduce the sensitivity of to the video noise by enabling the Reduce Video Noise option. When an alarm condition is detected, the program can sound an audible alarm, or send you an email with a photo. Automatically capture photos, or record video in compressed files. Webcam Motion Detector includes an advanced player that allows to play video clips, capture video frames and perform frame overlay. Each camera has its own individual monitoring and recording settings. All settings, such as alerts, photos, and video recordings can be turned on and off using the built-in scheduler. All monitoring and alert events are logged with date and time stamps. Each camera has its own scheduled on(off) times. Building upon the interface options introduced in Microsoft Outlook, scheduler includes event recurrence control and customizable Date Navigator. Access to all data is provided through a well encrypted password. Detected an intruder? Instantly play a sound of a dog barking and send yourself a framegrab directly to your mobile phone. Just as WMD can keep an eye on your home, it can do the same for your workplace. It can then start recording on motion detection and then automatically email or SMS you images of the people who have stolen your computer. Just hook up some webcams (or IP cameras) and leave program running. Video surveillance and motion capture system. Some key features are: unlimited cameras (including IP and USB cameras), motion detection, SMS and MMS and Email alerts, play sound file (useful on motion detection), adjustable sensitivity for each zone, record on detection, save video into archive or file with automatically or manually selected compression, record on schedule, registration of all events continuously by intervals or on motion detected, password protection, adding a text, time stamps, watermarks to your video. For each video frame, if motion is detected, the Alarm event occurs, that returns a global motion ratio, depending of the number of cells in which motion has been detected, and the level of motion in each cell. A sensitivity grid is applied on video frames. You can adjust the sensitivity of the detection, and mask out areas of the camera view to avoid false alarms. When the camera captures video frames in a dark environment, it is possible that the electrical background noise of the CCD video cell creates fake motion detection events. It is possible to reduce the sensitivity of to the video noise by enabling the Reduce Video Noise option. When an alarm condition is detected, the program can sound an audible alarm, or send you an email with a photo. Automatically capture photos, or record video in compressed files. Surveillance System includes an advanced player that allows to play video clips, capture video frames and perform frame overlay. Each camera has its own individual monitoring and recording settings. All settings, such as alerts, photos, and video recordings can be turned on and off using the built-in scheduler. All monitoring and alert events are logged with date and time stamps. Each camera has its own scheduled on(off) times. Building upon the interface options introduced in MS Outlook, scheduler includes event recurrence control and customizable Date Navigator. Access to all data is provided through a well encrypted password. Antamedia Kiosk software locks down your public computer or kiosk, helping you securely display your website or application. It prevents hacking and downtime by restricting access to the system, desktop, drives, folders and programs based on your settings. The software blocks the system keys like Ctrl-Alt-Del and replaces the system shell for maximum protection. Secure Browser removes standard browser menus, blocks downloads and pop-ups, limits browsing to specified URLs and blocks inappropriate content and websites. 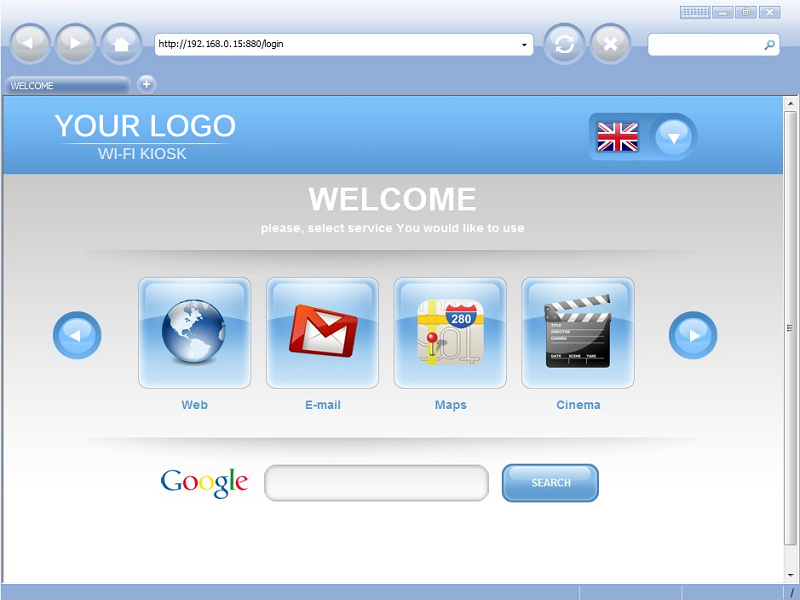 It offers customizable start page themes with multilingual support and a Virtual Keyboard for touch screen support. Internet Kiosk Software, Secure Browser and Digital Signage software converts computers into self-service kiosk. Payment Station helps you collect money from your customers using coin and bill acceptors or receive credit cards payments. WiFi HotSpot integration allows you to offer WiFi around your Kiosk. Internet service, your website or application can be offered for free or at defined price. It multiplies your revenue or service while utilizing the same hardware. Save on bandwidth costs and increase security by disabling file downloads, pop-ups, Java, ActiveX, scripts. Show notifications or advertisements by combining videos, images, web pages, flash animations. Choose one of the predefined layouts of the screen split in to the 2,3 or 4 parts, each configurable with different content. 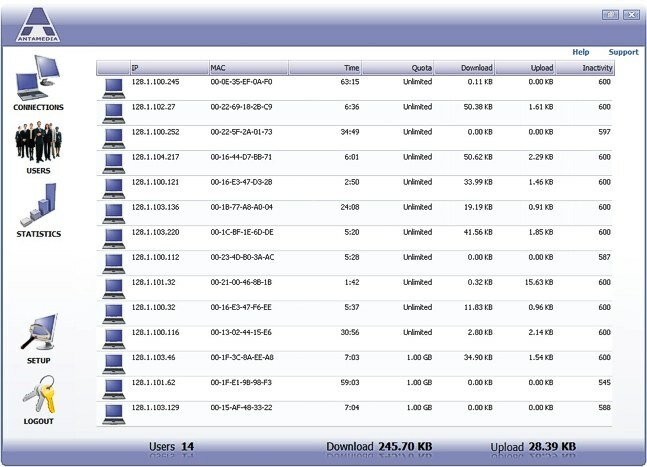 Maintain and support unattended systems instantly without having to travel to sites. Access your self-service computers remotely and configure applications, troubleshoot, resolve issues, run updates, help customers, monitor suspicious activity. Easy-to-use, saves money and helps you protect your self-service kiosks. Antamedia Internet Cafe controls, secures, and enhances the running of your Internet cafe, gaming center, library, school or hotel public computers. The software helps you bill your customers for limited browsing, playing games, using Office applications, WiFi HotSpot usage, VOIP calling, printing, point of sale products. It restricts access to the system, desktop, drivers, folders and programs, protects your client PCs from customer misuse, blocking access to the sensitive files, OS, Registry tools, Run and Find command, Windows control panel, Printers and Faxes, network neighbour, minimizing maintenance time. 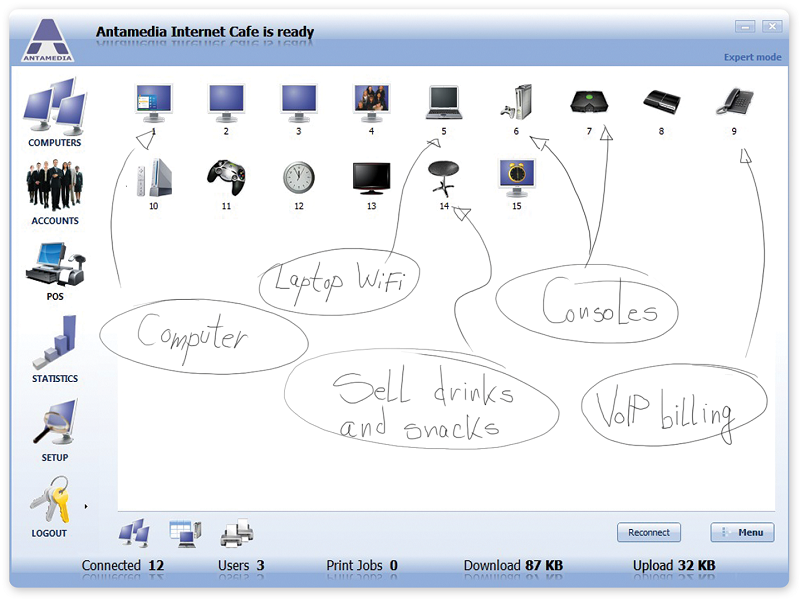 Internet Cafe software is an integration of all Antamedia products: Internet Cafe, HotSpot, Print Manager, Bandwidth Manager and the Point of Sale. It is the next-generation software that can control desktop computers, WiFi laptops and devices, mobile phones, PS3, Nintendo Wii, Xbox and other consoles. Customer usage and statistics is tracked for user logins, tickets, free usage, refills, self-service signups. Advanced POS helps you bill your customers while keeping track of your inventory and reminding you on low stock. Loyalty features with smart cards support brings promotions and rewards, increasing profit from existing customers. HotSpot module limits download and upload rate, bandwidth data transfer, maintains URL log of the pages visited by customers. Printed pages are tracked and the cost can be deducted from account balance, customer time, or added to the customer bill. VoIP billing brings cheap calls for your customers and additional revenue. Some of the many features are logo and receipt customization, skins, detailed application setup, API integration, remote client computers on different networks behind firewalls, user account sharing between multiple Internet Cafes. That’s why Antamedia is the most popular software for Internet or cyber cafes, in 170 countries across the world. Download the fully-functional demo now !